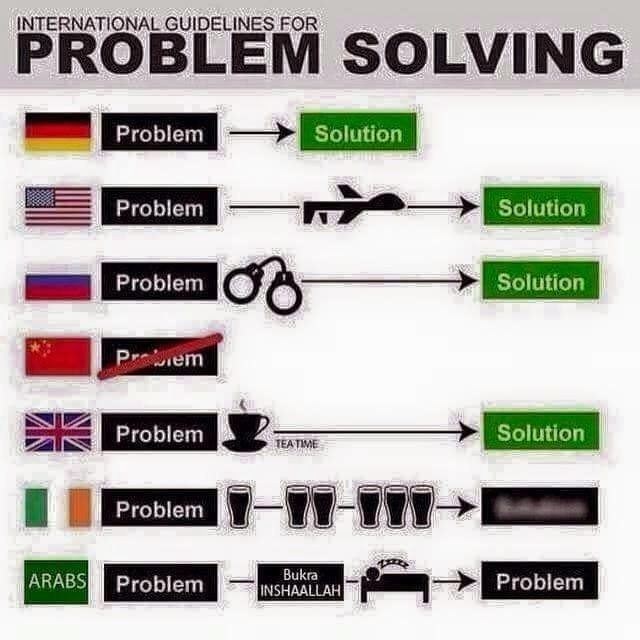 I know this is ethnic stereotyping but 1) an Arab forwarded it and 2) I'm Irish-American and I laughed at both America and Ireland. 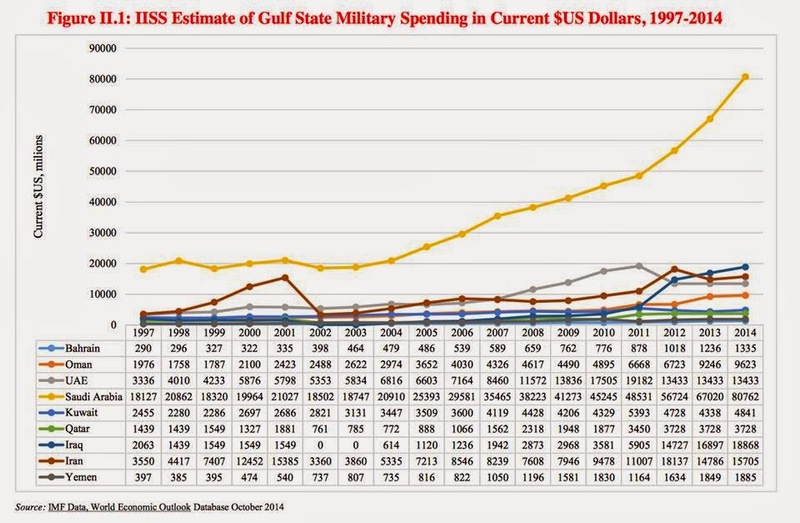 Graphic Proof of Iranian Hegemony: They're Spending a Sixth as Much as the Saudis on Arms with Less than Three Times the Saudi Population! OK, for those of you who question the idea that Iran is becoming a dangerous regional hegemon, let's run some numbers.Surely you won't doubt that numbers from the prestigious international Institute of Strategic Studies are worthy of attention. Eek! Iran, with a population of 78 million, is rapidly overtaking Saudi Arabia (population 30 million): it's almost a sixth the size of the Saudi defense outlay! And the other regional hegemon, Yemen, has surpassed Bahrain! To be fair, I know the Gulf is a dangerous neighborhood and lower population may mean greater vulnerability. But this graph does suggest the "Iran as new regional hegemon" meme might need some perspective. King Salman of Saudi Arabia continues to surprise, shaking up the line of succession yet again. The decision to remove Prince Muqrin as Crown Prince and name the former Deputy Crown Prince, Interior Minister Muhammad bin Nayef, as next in line, further strengthens the powerful Interior Minister, while the King's own son, Defense Minister Muhammad bin Salman, was named Deputy Crown Prince, confirming that the leadership is being passed to the generation of the grandsons. By strengthening the power of the Interior and Defense ministers, the King also reinforces them at a time some have raised doubts about Saudi Arabia's intervention in Yemen. In yet another surprise, Foreign Minister Prince Saud al-Faisal was relieved "at his own request," reportedly for health reasons. Saud al-Faisal, at 75, has been Foreign Minister for 40 years, the world's longest-serving. In another break with tradition, the new Foreign Minister will be Ambassador to Washington ‘Adel al-Jubeir, who is not a member of the Royal Family, but who has close ties to the United States. In a Kingdom which traditionally changes slowly and with great caution, Salman has moved speedily and decisively in the months since he took the throne. These changes also appear to strengthen Saudi Arabia's activist new foreign and security policies in Yemen and regionally. 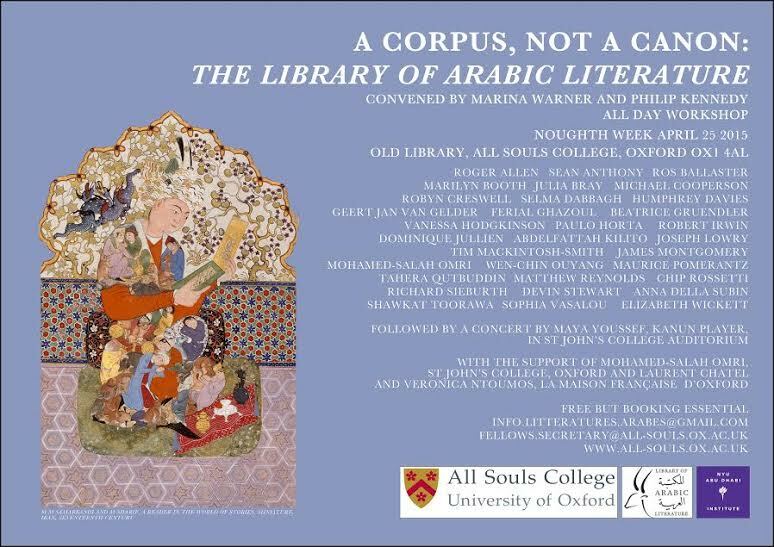 Marcia Lynx Qualey at the Arabic Literature (in English) blog recently attended the Library of Arabic Literature workshop at Oxford and has two posts relating to accomplished translator Humphrey Davies and his translation of Ahmad Faris Shidyaq's novel (or something), Leg Over Leg. 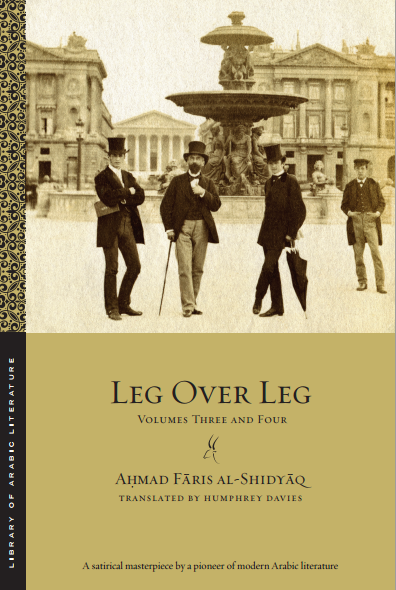 "What Does It Matter If ‘Leg Over Leg’ Is the ‘First Arabic Novel’? " "Humphrey Davies on ‘Representational Translation’ and the Uses of Urban Dictionary and Google Translate"
“And I took these from the Urban Dictionary online,” he said. Iran Seizes Marshall Islands Ship: Will US Respond? I think the last time the Marshall Islands made it into this blog was over a year ago when they rescinded their move to name former Lebanese spymaster Jamil El-Sayed as Ambassador to UNESCO, possibly a move aimed at giving him diplomatic cover in the Hariri assassination investigation. That suggested that the microstate of 29 Pacific atolls doesn't understand the Middle East very well. They do, however understand flags of convenience. As you may know, a cargo ship, the Maersk Tigris,was seized by Iran today after apparently entering Iranian waters off Qeshm island. The Iranian Navy fired a shot across her bow (it did not "fire on" the ship as some reports said) and escorted her into Bandar Abbas. Apparently there is an outstanding commercial dispute and Iran has a court order, but the issue drew international attention because of initial reports that she was an American cargo ship. It isn't, and the US is reacting cautiously since this seems to be about a commercial dispute, The Maersk line is Danish owned, but the Maersk Tigris is chartered by a Singaporean firm, and flies the Marshallese flag. The Marshall Islands Navy is not going to come steaming to the rescue, because they don't have one. The complicating factor is that the US is pledged to provide for the defense of the Marshalls under an agreement signed when the Marshalls became independent in 1986 and known as the Compact of Free Association; the Marshalls were previously a US-Administered UN Trust Territory. The US provides for defense of the islands, but does that extend to protecting ships carrying a Marshallese flag of convenience? Obviously if either side is looking for a fight it could be a problem, but if this is really a commercial dispute, it probably ought to be dealt with as such. Karl Sharro (Karl reMarks) offers a lighter note: "Sound like an expert with these phrases about Middle East politics." 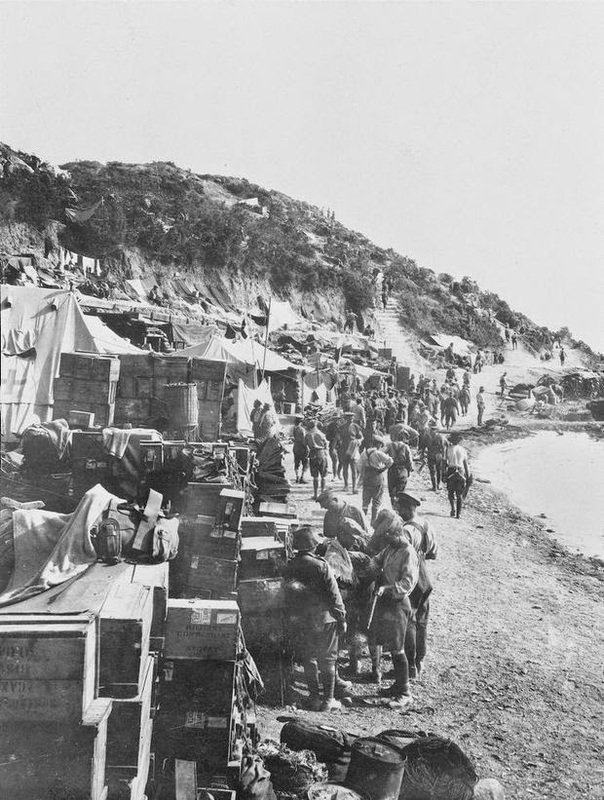 A century ago today, Allied Forces landed at two location on the western coast of Turkey's Gallipoli Peninsula Australian and New Zealand troops in the north and British (actually initially Irish) battalions in the south. These two initial sites came to be known to the troops, in the first case, as ANZAC Cove (they had landed a mile north of their target), and the southern site at Cape Helles as Sedd el-Bahr. In August a third landing would be made to the north of ANZAC Cove, at Suvla Bay. The three names will endure in the annals of carnage and military folly. From the first moments ashore it all went wrong. Landing in the wrong place, units disorganized and misplaced, and the landings confined to a narrow strip west of a ridgeline controlled by Turkish artillery. The disaster at Gallipoli would grind on for months, haunt Winston Churchill's career for decades, and end in ignominious evacuation. Turkey marks it as a great national victory though usually marked on March 18, the date of the initial naval victory), but in addition to playing a formative role in the Turkish Republic, it also marks a turning point in the national emergence of two other great modern nations, Australia and New Zealand. From their role as sacrificial lambs at Gallipoli emerged a growing self-confidence, that would lead in 1922, nearby at Chanak, to the refusal of the Dominions to automatically send troops when Britain requested, the beginning of real independence for the Dominions. I reflected on those ironies in my post three years ago, "For ANZAC Day: Gallipoli, Chanak, and the Three Great Nations Born From That Crucible." And that offers me an opportunity to revisit other posts I have done through the years on Gallipoli. Just this March, I told the tale of the naval failure on March 18 (after which the failure of the land attack after Turkey had a month to build up forces should have been predictable): "Belated Centenary: March 8, 1915: Nusret Lays Her Mines," and "March 18, 1915: The British and French Navies Fail at the Dardanelles." If, after March 18, the Naval defeat had doomed the landings, were there alternative strategies? 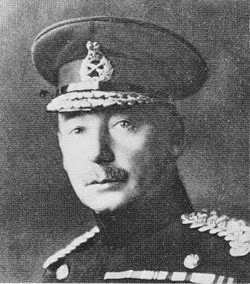 Though Churchill and the Admiralty were wedded to Gallipoli, Lord Kitchener and the War Office preferred the idea of a landing at Alexandretta in Syria, and T,E. Lawrence became a champion of the idea. Earlier this year, I compared the plans and asked, "A Historical "What If? ": Could the Alexandretta Landing in 1915 Have Worked While Gallipoli Failed?" That post contains links to several others on the Alexandretta scheme, and you can judge for yourself. On the ground front, we met the ANZAC Commander in my post on "The Birth of ANZAC: 'Birdy' Birdwood is Ordered to Egypt, December 1914." In the mythologies of competing nationalisms, Turkish nationalists often forget that the Ottoman armies came from all over the Empire. And Arab nationalists often portray the Arab provinces as solidly behind the Arab Revolt. But the future "Father Turk: himself, Mustafa Kemal, rose to fame commanding the 19th Division at Gallipoli, we forget that two of its three regiments were in fact raised in Syria: "Lost in the Dueling Nationalist Mythologies: The Forgotten Syrians at Gallipoli." They were Arabs and Kurds and Turkmen, and tend to be overlooked. "Who, after all, speaks today of the annihilation (Vernichtung) of the Armenians?" April 24, 1915, was a critical moment for the Ottoman Empire during World War I. Allied navies were gathered just outside the Dardanelles and on the next day, April 25, would land at Gallipoli. In the east, Russian advances into the Empire's Armenian region had already provoked an Ottoman crackdown in Van, which in turn led local Armenians to create self-defense forces to defend themselves. Fighting erupted in the city of Van, which the Ottomans characterized as a revolt, on April 17. When the Russian Army sought to advance to relieve Van, this further convinced the Ottoman authorities that the Armenian population was what it a later war would be called a Fifth Column. There is evidence that the decision to begin the arrest and deportation of Armenians had already been decided on before April 24, but that date, a century ago today, came to be identified by Armenians as the beginning of the agony. 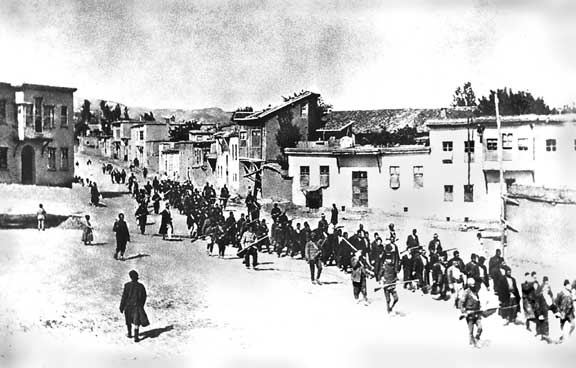 It was the date on which more than 200 Armenian intellectuals in Constantinople were arrested, removing much of the leadership of the Armenian community in thee capital; it became known as "Red Sunday." The death of 1.5 million people as a direct result of state action seems to most people to meet the definition of genocide under international law, but the persistent refusal of the Turkish Republic to accept the use of the term, and to continue to protest its use by others, has kept a century-old wound still fresh in both Armenia and the diaspora. But Armenians have not forgotten. Let's be clear. I have never seen Keeping Up With the Kardashians. I do not understand why, other than certain physical attributes and a notorious videotape, Kim Kardashian is famous or rich. I know more about the Cardassians on Star Trek than the Kardashians. I also never thought I would begin a sentence with "Like Pope Francis, Kim Kardashian ..." but I am, in fact about to do so. Here goes: Like Pope Francis, Kim Kardashian is not afraid to use the "G-word" for the Armenian massacres, but Barack Obama remains unwilling. I'll probably catch flak from Turkish readers, but tomorrow is Armenian Remembrance Day, and the deaths of 1.5 million Armenians, large numbers of Assyrians, Anatolian and Pontic Greeks, and other minorities is a human tragedy of the first order. The Turkish Republic's persistent refusal to accept the term "genocide" has always struck me as a bit puzzling: why not just say "that was the Ottomans, not us"? Anyway, as this website notes, "One of the world's most influential figures focused media attention on the Armenian Genocide of 1915 last week. The pope talked about it, too." Kardashian, of course, is of Armenian origin and apparently is very popular in Yerevan. More tomorrow, on the anniversary of "Red Sunday." 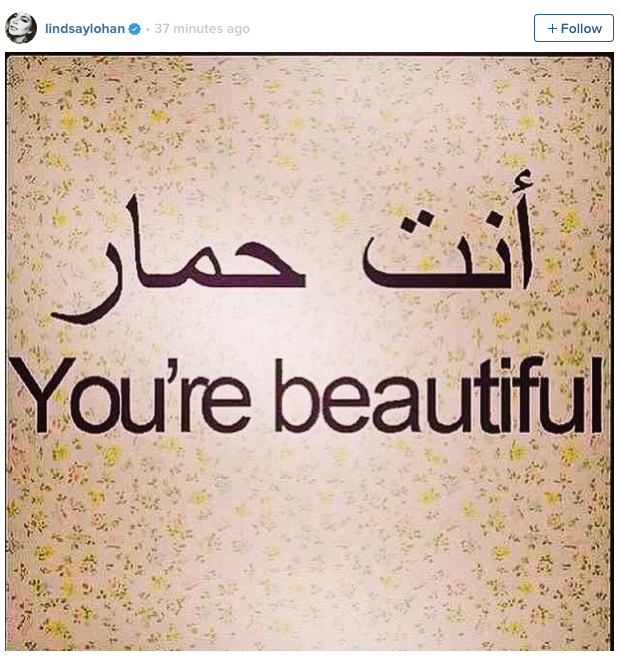 Actress Lindsay Lohan apparently posted the above message on Instagram. Anta Himar does not mean "You're beautiful," of course, but "You're a jackass." Arguably making this even funnier is the fact that the image apparently originated on a website of suggested tattoos, so there may be folks out there with this sentiment permanently displayed on their persons. The latest disaster of a sinking ship carrying migrants from Libya and other parts of Africa to southern Europe has drowned somewhere between 700 and 950 human beings; and it's only one of several such sinkings in the last few weeks. The navies and coast guards of Italy, Malta, and Greece try to rescue survivors, but overpacked migrant ships often capsize with most of the passengers below decks. 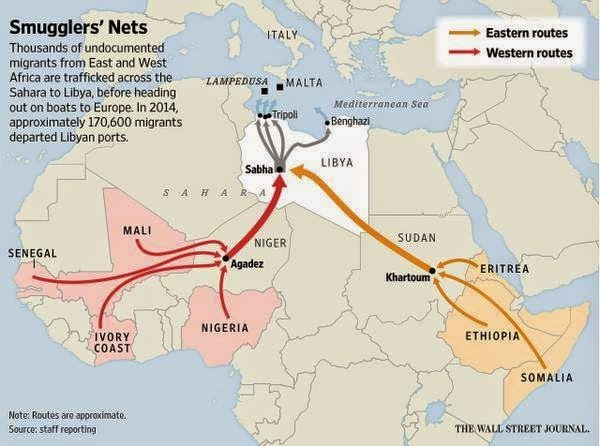 Libyan migrants are not the only ones aboard; sub-Saharan Africans are also fleeing through Libya. No one knows the exact toll because some ships may disappear wholly undetected. Many think the death toll this year alone may be over 2,000, perhaps 1,500 or so in the last month alone. A hundred and three years and a week ago, on April 14, 1912, RMS Titanic sank. Somewhere between 1,500 and 1,600 people died. Some had names like Astor and Guggenheim, and it became one of the great symbols of the end of an era. Now thousands whose names will never be known are dying at sea, and thousands more are crowding into Lampedusa and Malta and other places looking for refuge. James Cameron probably will not make a high-budget film about their last hours. It's not just Libya. Refugees from sub-Saharan Africa have been pouring into North Africa looking for a route to Europe. There are no easy answers to massive refugee flows. But there may be humanitarian answers to massive drownings. How many Titanics need to sink before the UNHCR and others recognize we are dealing with a first-order crisis? Despite my reproducing the Photoshop above I can't blame the European countries alone. The North African countries are doing their best to funnel refugees through as quickly as possible and out to sea. I think the world is finally noticing the toll. The North African countries need to recognize their own responsibilities in this escalating disaster. The TR and that "Iranian Flotilla"
There has been a lot of attention paid to the US decision to move the USS Theodore Roosevelt Battle Group in the general direction of Yemen, amid US reports indicating an Iranian "flotilla" said to be escorting merchant ships in the general direction of Bab al-Mandab. Now Iran routinely keeps vessels on anti-piracy duty in the area due to the threat of Somali piracy, and the Theodore Roosevelt (fondly nicknamed "the Big Stick") is reinforcing what is already a considerable US naval presence in the region. Now, when tensions are high and potentially hostile vessels are gathering in the Tonkin Gulf Arabian Sea, it's understandable for the media to hype tensions, but the emerging narrative is suggesting that the Iranian "flotilla" is escorting an arms shipment to the Houthis is, as a defense lawyer would say, asserting facts not in evidence. Despite multiple assertions and repetitions that Iran is arming the Houthis," no one has demonstrated that to be true, and there is a Saudi/Egyptian blockading force in place. Meanwhile, the Iranians seem to be almost inviting the US to search their little “armada” – which suggests that whatever game they are playing may be more political than military. Both sides should tread carefully, but let's not overdramatize or assume facts not yet in evidence. Sandra Mackey, journalist and author who wrote extensively on the Middle East, has died at age 77. She was known for accessible popular books explaining the Middle East to a general audience. Her books included Saudi Arabia:Inside the Desert Kingdom; Lebanon:Death of a Nation; Passion and Politics: The Tubulent World of the Arabs; The Iranians: Persia, Islam and the Soul of a Nation; The Reckoning: Iraq and the Legacy of Saddam Hussein; and others. Saudi Arabia Halts Bombing, Declares Victory: Did I Miss Something? Saudi Arabia announced today that it has ended its bombing campaign in Yemen, having "achieved its military goals," and that a new Operation named "Restore Hope" will begin, aimed at finding a political solution in Yemen. Wait, what? They won? I thought the Houthis were still fighting in Aden? Is there a real move toward negotiation? Or are hey worried about cross-border blowback into Saudi territory around Najran? Something just happened, but I'm not sure what. Last Face Card in the Deck: Was it Really ‘Izzat Ibrahim? 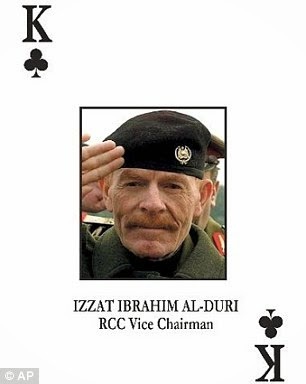 Late last week the Iraqi Government announced with considerable pleasure that the last of Saddam Hussein's top officials, ‘Izzat Ibrahim al-Duri, former Deputy Chairman of the Revolutionary Command Council and the senior Ba‘athist official of the Saddam era still at large (and King of Clubs in the famous US "wanted poster" deck of cards) had been killed in a battle with Islamic State forces in northern Iraq. I withheld immediate comment because I recall Saddam's use of doubles of himself and his sons, and he's been reported dead before. This time there are pictures, though I'm not going to reproduce them here, because some are fairly gruesome. It's more respect for the dead generally, not particularly any respect for this blood-soaked killer. What can be said is that the picture of the corpse on the battlefield (the gruesome one) and of the body in a glass-enclosed coffin, are credible. Some have argued the shape of the ears is wrong; the face looks right, though he has added (due to his new-found Islamist friends?) a beard to his well-known mustache. His famous red hair (actually an odd shade of orange, but at 72 he may have been helping it along) is very much in evidence. I assume the Iraqis took blood and tissue samples; I wonder if the CIA or others have his DNA from the occupation, perhaps from medical records? It was never fully certain what the links were between this old secular Ba‘athist and the ultra-jihadists of ISIS, save for common enemies in the US and Shi‘ites. The link was supposedly through the Army of the men of the Naqshbandi Order (JRTN), odd in itself since jihadists generally hate Sufi orders. See my earlier posts here and here. But I'd like to see he DNA. I don't trust this guy. April 18 was World Heritage Day. 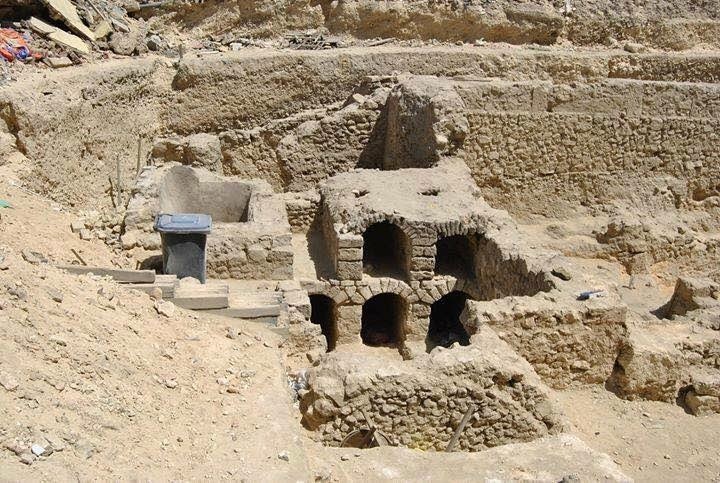 Earlier last week, it was learned that a Hellenistic Theater complex in Alexandria, the Masrah al-‘Abd, only discovered by archaeologists in 2013, and including adjacent tombs had been obliterated with no trace remaining and with the archaeologists who excavated the site not warned in advance. A preservationist group called the Egypt's Heritage Task Force (الحملة المجتمعية للرقابة على التراث والأثار) had lobbied against the demolition and protested its being done without warning. The photos here are theirs, and they're the "before" photos. "After" is just a hole in the ground. Another radical jihadist group like ISIS or the Taliban, trying to erase the pre-Islamic past? A predatory developer? No, it was the Egyptian Ministry of Antiquities. While it's drawn some press coverage and some blog comment, the Ministry has said the site was destabilizing neighboring buildings (how? It's been there 2000 years) and besides, it duplicated finds found elsewhere. So they are selling it to a private developer. As Zeinobia notes in the link, won't construction of a new building destabilize the neighborhood even more? Now I realize full well the necessary role of rescue archaeology when ancient sites are found under modern cities. Sometimes you're building a parking lot in Leicester and accidentally dig up King Richard III, as happened not long ago. At least they reburied his bones with honors and didn't just pave them over. Many countries require potential developers to pay for the cost of full archaeological surveys and excavation, with full photography, before allowing development to proceed. Perhaps the theater has been fully and professionally surveyed and recorded, though two years after discovery seems quick by archaeological standards. Given some of the allegations about development at Saqqara, Meydum, and elsewhere since 2011, it's natural to suspect that greed may have outpaced preservation here. If I learn that the site was in fact fully documented and recorded, I'll gladly stand corrected. Amid so much fog of punditry on Yemen and so much talk of ancient sectarian divisions and Iranian meddling, it's occasionally a relief to hear a real Yemen expert put the situation in perspective: the University of Richmond's Sheila Carapico, a real Yemen expert, does just that at MERIP: "Two Resolutions, a Draft Constitution, and Late Devlopments." I previously linked to the International Crisis Group's "Yemen at War" (link is to the summary page; the full report is here). Their Arabian Peninsula specialist, April Longley Alley, is also a genuine Yemen expert. Listen to these people, not the TV News talking heads, please. April 1915 was a very cruel month, and a century later some of its bitter memory still haunts. Next week, two of the most iconic anniversaries of the Great War occur, and I'll blog in detail then, but the bitter legacy has already reared its head. April 24, 1915, known as "Red Sunday," was the day the Ottoman Empire arrested and expelled Armenian intellectuals from Constantinople. It is seen by Armenians everywhere as marking the beginning of what became the mass deportations and deaths, which they consider genocide, a term Turkey refuses to apply. The next day, April 25, will mark the centennial of the landings at Gallipoli. In Australia and New Zealand, it is ANZAC Day, a major patriotic holiday. Gallipoli is also celebrated by Turkey as a great victory, but until this year they have celebrated it on March 18, the day of the failed naval attack on the Dardanelles. But this year, Turkish President Recep Tayyip Erdoğan decided to mark Gallipoli by inviting world leaders to mark the day, not on March 18, or even on the equally logical April 25, but on April 24 and 25. Thus coinciding in part with Armenian Remembrance Day. There have been times in recent years when Erdoğan seemed more open to acknowledging the Armenian tragedy, if not using the word genocide. But this seems to throw down a gauntlet, to throw salt in a very much still-open wound, and Armenians are of course outraged. But it's encountering criticism in Turkey as well, as in this piece in Today's Zaman (though Zaman, traditionally seen as supporting the Gülen movement, is no admirer of Erdoğan). Given the fact that just yesterday was Shoah Remembrance Day in Israel, though the Turkish scheduling plan was made some weeks ago, I sense a big PR disaster in the making, drawing more attention to the Armenian events rather than diverting it away. It's been suggested Erdoğan changed the schedule to give him an excuse for not attending commemorations in Yerevan, but it seems to have backfired. First, apologies for being late to this: I should follow the French press more closely. I've belatedly learned that the great journalist and diplomat Eric Rouleau died on February 25. He was unquestionably the greatest French journalist on the Middle East of his generation as the Middle East correspondent for Le Monde for several decades, and later served as France's Ambassador first to Tunisia and then to Turkey. I previously wrote about him in 2012, when the Cairo Review of International Affairs published an excerpt in English from his memoirs. AUC has since published the translation of his French memoirs as Cairo: a Memoir. I believe the French version covers his whole career: Dans les coulisses du Proche-Orient: Mémoires d’un journaliste diplomate. His background explains a lot. He was born in the Cairo suburb of Heliopolis in 1926 as Elie Raffoul, to a family of Egypt's once-flourishing Jewish community. Like many Egyptian Jews of the era he also had Communist affiliations and was expelled in 1951. He made a journalistic career in France under the name Eric Rouleau. Though Jewish he was a sympathizer of the Palestinian cause and in 1963 was granted an interview with Nasser. I only met him once at a reception somewhere (in DC I think) and heard him speak a few times, but I read him often. One of the truly great journalists who also had an afterlife as a diplomat, I regret that I am so late learning of his passing. The National Security Archive today launched a new online collection of documents related to Israel's nuclear program, which has drawn renewed attention during the debate over the Iranian nuclear program. It's edited by Avner Cohen, author of books on the subject and pretty much the go-to (unclassified) source on the subject: "The US Discovery of Israel's Secret Nuclear project." The situation in Yemen is fluid and one must beware of disinformation from either side, but former Yemeni President ‘Ali ‘Abdullah Salih may be trying to rival Lebanese Druze leader Walid Jumblatt's title for most frequently changing sides in a conflict. Bear in mind that for something like nine years Salih fought the Houthi rebellion. Then came the 2011 uprising in which Salih was forced to yield power to his Vice President (though other family members including his son held key posts in the security services). Then, as the Houthis advanced into the heart of Yemen, Salih and his suppoorters suddnly seemed to throw their weight behind their old enemies the Houthis. His sometime allies in Saudi Arabia (and by "sometime" I mean on and off) considered him a traitor. Ahmad Ali Abdullah Saleh, the son of Ali Abdullah Saleh, initially met in Riyadh Gen. Yousuf Al-Idris, the deputy head of Saudi intelligence, before heading to the office of the country’s defense minister, Prince Mohammed bin Salman, who is also the son of Saudi King Salman bin Abdulaziz. During the talks, the son requested protection for him and his father and the lifting of U.N. sanctions placed on the former Yemeni president who stepped down in 2012 after ruling for 33 years. The son had offered in return to launch a coup against the Houthis, using some 5,000 special security forces loyal to Saleh and 100,000 members of the Republican Guards. But the Saudi intervention had just taken place, and I thought it might be either outright disinformation or at least wishful thinking, so I bookmarked it but didn't blog about it. Former Yemeni President Ali Abdullah Saleh has sent messages to Arab Gulf states, asking for a safe exit for himself and his family, sources told Al Jazeera. Saleh, who was forced to step down in 2012 after a wave of protests against his rule, is said to be backing Houthi rebels who have seized the capital Sanaa and are battling forces loyal to embattled President Abd-Rabbu Mansour Hadi, who fled to Saudi Arabia. The message for safe passage was communicated by leaders of the General Popular Congress, including former Foreign Minister Abu Bakr al-Qirbi, sources told Al Jazeera. Saleh has been leader of the GPC. Sources said the request was rejected by Saudi Arabia, which is a member of the six-nation Gulf Cooperation Council and is leading a coalition that has bombed Houthi positions since March 26. "In the message Saleh seems to have actually told the Gulf leaders via his envoy that he has no ties whatsoever with the Houthis and he is not part of this war," said Al Jazeera's Mohamed Vall, reporting from the Saudi capital of Riyadh. This, too, is unconfirmed, but Salih may be changing sides again. On This 150th Anniverary of Lincoln's Assassination, Did You Know One Accused Conspirator was Arrested After Fleeing to Egypt? One hundred and fifty years ago tonight, John Wilkes Booth shot Abraham Lincoln at Ford's theater, while one of Booth's co-conspirators stabbed Secretary of State William H. Seward while another assigned to kill Vice President Andrew Johnson lost his nerve. A massive manhunt for Booth and the other conspirators followed, and a vast literature about the plotters and their trials has been amassed over a century and a half. Though Egypt's connection was largely accidental, it's a tale worth telling. The Surratts were Confederate sympathizers, and Mrs. Surratt ran a boarding house on H Street in Washington and also owned a tavern at Surrattsville (now Clinton) in southern Maryland. Both buildings are still there; the much remodeled H Street house is now a Chinese restaurant and karaoke place in Washington's small Chinatown, while the old tavern is now the Surratt House Museum. Southern Maryland was the slaveholding part of the state and had many Confederate sympathizers; it was a favored route for Confederate intelligence to pass messages into rebel Virginia just across he Potomac. 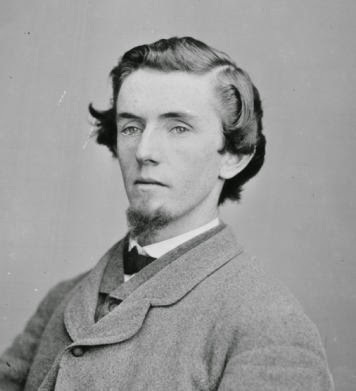 John H, Surratt was one such courier, and had carried messages to Virginia and also had links to the Confederate Secret Service's spy network based in Canada. 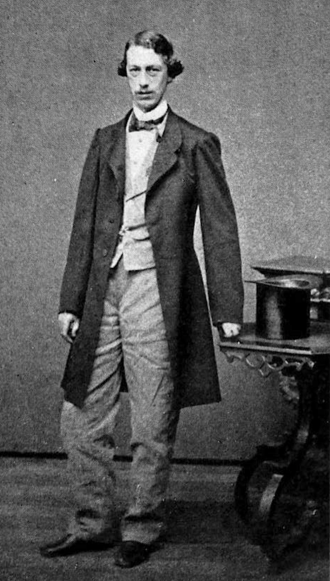 He was young; he turned 21 on April 13, 1865, the day before the assassination. 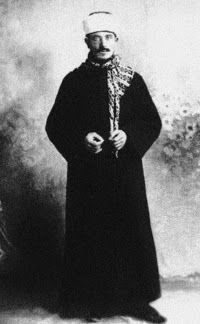 In Montreal he relied, apparently, on the Confederate Secret Service and also on sanctuary from a Catholic priest. (The Surratts were Catholic and John had once studied for the priesthood.) 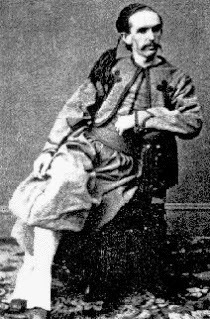 After Mary Surratt was hanged, ex-Confederate agents smuggled him out of Canada using a pseudonym and he sailed to Liverpool, eventually reaching the Papal States (still separate from Italy until 1870), where he became a member of the Pontifical Zouaves under the pseudonym John Watson. An old friend recognized him and the Papal authorities arrested him. But before he could be turned over to the US authorities in Rome he escaped, allegedly by jumping from a precipice, but with many believing friendly papal guards let it happen. He crossed into the Kingdom of Italy and made his way to Naples. The US Minister to the Papal States, Rufus King, advised the US consul in Naples Frank Swan, to be on the lookout. On November 19, 1866, it was learned that Surratt had sailed from Naples the evening before, on a British ship, RMS Tripoli, bound for Alexandria with a coaling stop at Malta. The US representatives were keeping the undersea cables busy, now entreating the British to arrest him at Malta. But the British Agent at Malta informed the American representative that he needed more evidence and that vague claims of conspiracy were insufficient to arrest an American. Besides, he had boarded the ship and found no "Walters or Watson" aboard and the only Zouave was a "John Agostini from Candia." Candia is in Crete (the Italian name for Heraklion); Surratt had been posing as a Canadian. The typo, if that's what it was, further delayed things but John Agostini was indeed Surratt's new alias. The Tripoli proceeded on to Alexandria. A temporary break in the undersea cable between Malta and Alexandria also delayed communication, but when Surratt arrived in Alexandria on November 23, he and the other passengers were required to undergo a six-day quarantine. While there, he was visited by the US Consul-General in Egypt, Charles Hale, and admitted that he was an American. After so long a manhunt, several things had changed. In 1866 the US Supreme Court had ruled, in Ex Parte Milligan, that it was unconstitutional to try civilians before a Military Tribunal if the civil courts were operating, so unlike his mother and the other conspirators, he could not be tried by a military court. And in the intervening years, many of the charges leveled at the others had seen their statute of limitations expire. The one charge that could be brought was the murder of Lincoln, and while Surratt admitted to the kidnapping plot, he denied knowing of the plan to kill, and was far from Washington on April 14, 1865. After a two month trial, the result was a hung jury, splitting eight to four for acquittal. The government decided not to seek a new trial. You can find the trial transcript at Google Books. He then planned a lecture tour, giving a first lecture at Rockville, Maryland in December 1870. You can read it here. After similar lectures in New York and Baltimore, he canceled one planned for DC after protests. 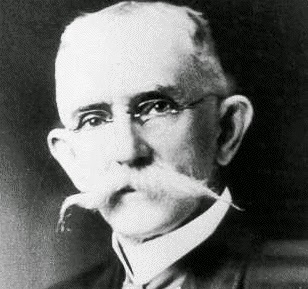 He lived quietly, teaching at a Catholic school, farming tobacco, and married, raised seven children, and worked for a steamship line in Baltimore. He died at age 72 in 1916, and is buried in Baltimore. As we move through April, we'll be marking several centennials of developments in the Middle East in World War I during April 1915, including the beginnings of the Armenian tragedy and the landings at Gallipoli. 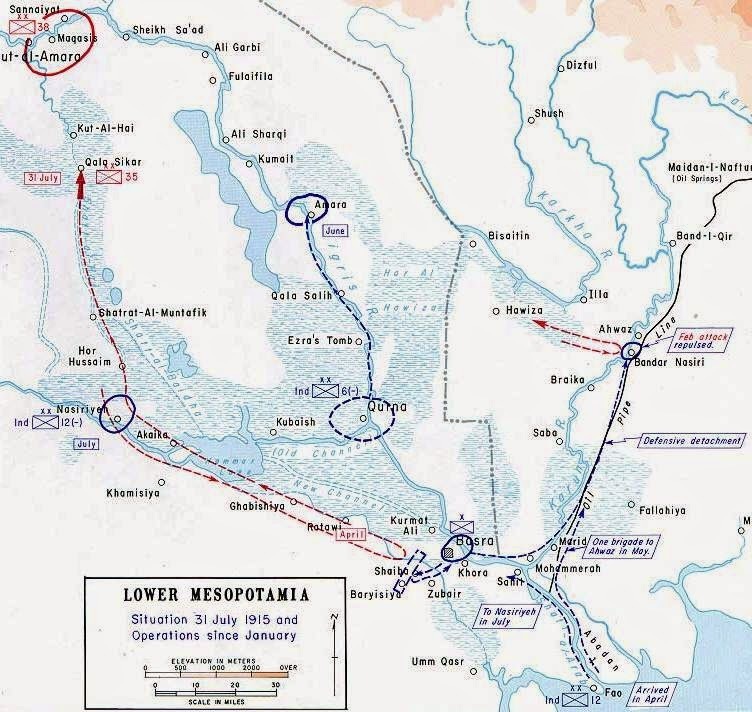 April 12-14 marks the Battle of Shaiba in southern Iraq, a British victory which led to a Turkish withdrawal from the Basra front and an end to the last effort to retake Basra. But it also led to a British decision (unwise, as it would prove at Kut to advance deep into Iraq in the direction of Baghdad. Last November I discussed the operations leading to the Basra campaign and the fall of Basra itself, but haven't returned to the Mesopotamian theater of operations since. In December the British had taken Qurna, and settled in, their primary mission having been to protect the refineries at Abadan and the port of Basra. At Qurna, they captured the local Ottoman commander, Subhi Bey. On January 2, Ottoman War Minister Enver Pasha named a new area commander in southern Iraq, Süleyman Askeri Bey, a colonel with ties to the Young Turks, himself the son of a general, born in Kosovo, he had served against the Italians in Libya. The main Ottoman headquarters under Khalil Pasha was far away in Baghdad. The overall commander of British forces in the area was General Sir John Barrett with the 6th Poona Division. 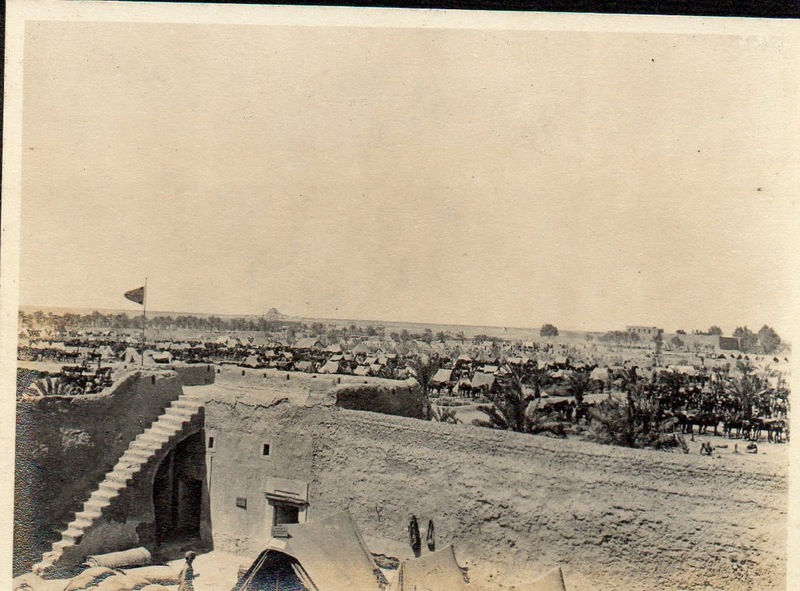 Süleyman Askeri decided to attempt to retake Basra by an end run to the west, through a British position at Shaiba fort, where about 7,000 men under Brigadier General C.I. 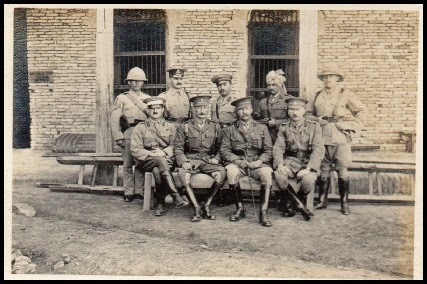 Fry with the 18th Indian Infantry Brigade was stationed. The British were encamped with about 7,000 Indian Army troops around the old fort. But spring floods in the lowlands had flooded much of the ground between Basra and Shaiba, making communications difficult, The Ottoman force gambled that this would work to their advantage. But the British camp was surrounded by barbed wire, and while Süleyman Askeri nominally had some 18,000 men, only 4,000 were Ottoman regulars, including the elite Constantinople Fire Brigade Regiment; the remainder were Arab irregulars, mainly local tribesmen. The idea of striking the British from the flank might have made sense if he had a stronger, more professional force, but the Ottoman troops in southern Iraq were dispersed, with some holding the Qurna front and others trying to cut through Iranian territory towards Abadan. The Ottoman attack began with an assault on the camp on April 12, but after considerable fighting failed. On the 13th the Ottoman forces pulled back to the cover of a nearby wood, but sought to use their Arab irregulars to bypass Shaiba. Melliss, by now on the scene, sent the 7th Hariana Lancers out, but the cavalry unit was badly beaten by the irregulars; and the 104th Wellesley's Rifles did little better. But the tide turned when Melliss ordered the 2nd Dorsetshire Regiment and the 24th Punjabi Regiment against the Arab irregulars. this time they captured 400 and dispersed the rest. The Arab irregulars faded away. That left the Ottoman regular forces. On the morning of the 14th it was discovered they had withdrawn to the nearby Barjisiyya woods. Fighting lasted from midmorning until 5 pm. As things seemed desperate and the British artillery was running out of shells, the 2nd Dorsets lunched a bayonet charge and carried the Turkish position. The Ottomans retreated upriver, never to threaten Basra again. But the British learned the wrong lesson. Convinced the Turks were poorly organized, they decided to advance up the rivers and try to take Baghdad. 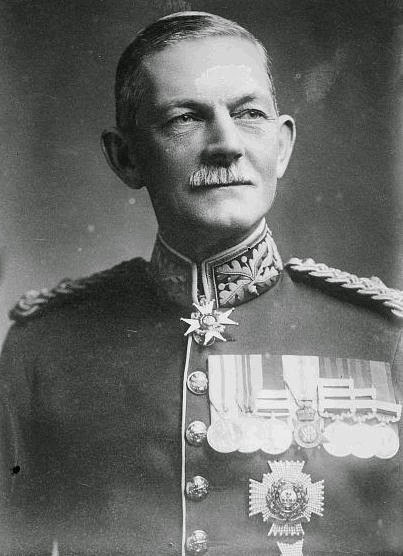 General Sir John Nixon took command of a reinforced force in Mesopotamia, and General Sir Arthur Barrett yielded command of the 6th (Poona) Division to General Charles Vere Townshend, who would soon make a name for himself. Unfortunately that name would be Townshend of Kut the man who surrendered more British Empire troops than anyone else up to that time. There's a great collection of photos from Shaiba at this site honoring the Indian Army. At Jadaliyya: "Cairo: The Myth of a City on the Edge of Explosion." Since Egypt announced its ambitious project for a new administrative capital in the desert I've posted links to several articles arguing the pros and cons, here and here. Now comes a thoughtful piece not so much aimed at the capital project as at the whole concept of satellite cities and the flight to the desert. 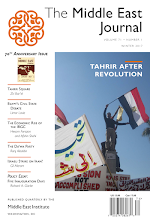 It's worth a read: Jon Argaman at Jadaliyya, "Cairo: The Myth of a City on the Edge of Explosion." Today is Sham al-Nassim, the ancient Egyptian spring holiday celebrated on the Monday following Coptic Easter Sunday. It is not a Christian holiday; its origins are said to be with the Ancient Egyptian Shemu or spring holiday, later in the Christian period localized around Easter; Muslims celebrate equally with Christians and, until their exodus in the Nasser era, Egyptian Jews also participated. Like Nowruz in the Irano-Turkic worlds, it's an opportunity to cerebrate the arrival of spring. It's usually said that only two Egyptian holidays date back to the days of the pharaohs: Sham al-Nassim and Wafa' al-Nil in mid-August, which marks the Nile flood (though the Aswan High Dam ended the annual inundation in the 1960s.) Both, like so much of Egyptian history, center on the Nile. 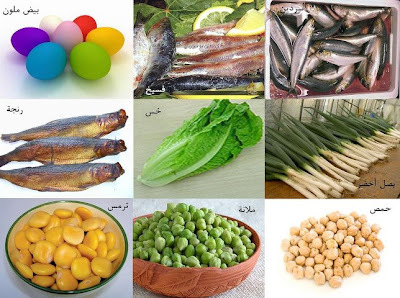 On Sham al-Nassim Egyptians picnic on the river, stroll in parks, gardens, or the zoo, and eat seasonal foods: a dried salty fish called fassikh, green onions, lettuce, tirmis (lupinis), and (a borrowing from Easter? Or vice-versa?) they dye colored eggs. (See the photos below.) Even the foods may be ancient. Supposedly Plutarch somewhere wrote that the Ancient Egyptians had a spring holiday involving dried fish, lettuce, and onions, but I've never found a citation to confirm that story, beloved of Egyptian websites, even government ones. Let's do a cultural post far from any of the current (and slowly merging into each other) wars. (And a hat tip to Diana Buja for calling this to my attention.) A post at the Ancient Origins website discusses "The Monumental Tomb of Queen Tin Hinan, Ancient Ancestress of the Tuaregs." Besides being an interesting story in its own right, it gives me a chance to talk about the prominent role women leaders have played in the history of North Africa's Amazigh ("Berber") people. In 1925 a monumental tomb was excavated in Abalessa in southern Algeria near Tamanrasset in the mountain region known as Hoggar (Arabic) of Ahaggar (Berber/Tamazight/Tamasheq) by archaeologist Byron Khun de Prorok. 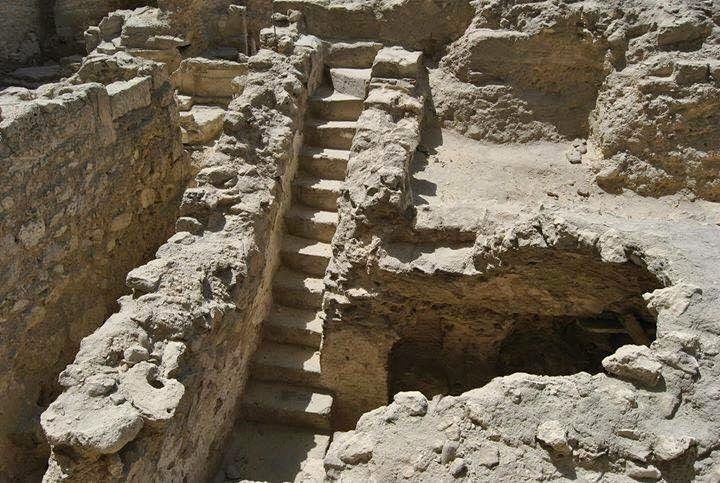 It contained the remains of a woman buried with fine jewelry, and inside an elaborate structure that may have been a Roman frontier fort. Coins and later carbon dating suggest a 4th or 5th century AD date. The Tuareg, the nomadic Saharan Amazigh people who live in southern Algeria and Libya, Niger, Mali, Burkina Faso and some neighboring countries, consider this the tomb of their legendary Queen Tin Hinan, who is considered the ancestress of the Tuareg people and the ruler of the Hoggar region. In Tuareg tradition, the monumental tomb is that of Tin Hinan, or T'in Hinan, ancestress and Queen of the Tuareg people. Tin Hinan literally means "she of the tents," or "she of the camp," and she is also known as Tamenukalt, or "Queen." Some of the traditions relating to Tin Hinan, such as those which make her Muslim, are unhistorical if the identification of the tomb (4th-5th centuries AD) is accurate. In Tuareg tradition she is said to have come from Tafilalt in the Atlas to the Ahaggar, along with a servant, Takamat. 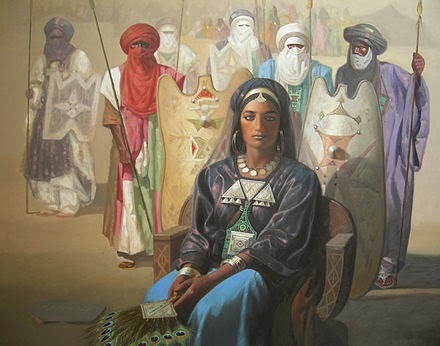 Tin Hinan was held to be the ancestress of the Tuareg nobility, and Takamat of the commoners. There is no certainty, other than popular identification, that the monumental tomb is really that of Tin Hinan or even that Tin Hinan is a historical figure, and some have even suggested the skeleton may be male. But there is an interesting coincidence. The skeleton found in the tomb, now in the museum in Algiers, shows a deformity that may indicate that the woman in question was lame. Now, in Ibn Khaldun's universal history Kitab al-‘Ibar, the most famous parts of which (after its "Introduction," the famous Muqaddima) are the sections on Berber genealogies and history, translated into French by de Slane as Histoire des Berbères, Ibn Khaldun says that the Huwwara, Lamta, Sanhaja and other Berber tribes all claim descent from a single woman, a queen he calls "Tiski the Lame." Many students of the Hoggar region, including Charles de Foucauld, the famous missionary at Tamanrasset who studied the languages and traditions, have assumed or argued that Tiski may be identical with Tin Hinan (which is a title, not a personal name). And Ibn Khaldun says the place name Hoggar derives from Huwwara. Clearly, a monumental female tomb adorned with jewelry suggests a powerful queen, The Tuareg traditions of Tin Hinan and Ibn Khaldun's tale of Tiski the Lame both speak of an ancestress Queen of the Tuareg of the Hoggar. And the skeleton found in the tomb appears lame.Separating out legend from fact is difficult. M. Gast, entry "Huwwâra, Houuara, Houara, Hawwâra," in Encyclopédie berbère. Ibn Khaldun, Histoire des Berbères et des dynasties musulmanes de l'Afrique Septentrional, translated by Wlliam MacGuckin Baron de Slane, Vol. I (Algiers, 1852), pages 272-273 (Google Books). Daily Kos; "The Tuaregs I: Tin Hinanm the mother of us all:"
El Watan (Algiers), "Tin Hinan, une reine ou un roi ? algeria.com: "Tin Hinan Festival a Tribute to the Legendary Tuareg Queen"
More posts are coming but let me begin by extending Good Friday wishes today and Easter greetings on Sunday to Christian readers who observe according to the Eastern calendar, those from the Eastern Orthodox and Oriental Orthodox families of churches and he Assyrian Church of the East. Back during the turmoil of the Egyptian Revolution in 2011 I posted several posts about revolutionary street graffiti in Cairo, especially the much-decorated walls of the American University's downtown campus along Mohamed Mahmoud Street. Now they're the subject of anew controversy. A group known as the Women on Walls Project, founded by Swedish journalist and photographer Mia Grondahl, author of a book on Cairo graffiti, aims to celebrate women and the struggle against harassment through street art. It's a worthy idea, but many revolutionary artists charge that in some cases revolutionary graffiti dedicated to those ho died in Mohamed Mahmoud Street in November 2011, and other memorials to the dead, are being painted over. They are also painting on adjacent Yusuf al-Gindy Street, where I once lived. Grondahl denies that intact graffiti are being painted over and defends the project to both Ahram Online and Daily News Egypt; both are illustrated. Since I'm reliant on media and social media reports I can't claim to judge the facts from far away. I'd urge you to read the linked articles and judge for yourselves and will welcome comments from those on the ground. Whatever the merits of the two sides, I'm sorry to see supporters of street art quarreling among themselves, when there are plenty of state institutions who'd paint it all over in a minute if AUC didn't provide a welcoming wall. Today, April 9. marks the 150th anniversary of Robert E. Lee's surrender of the Confederate Army of Northern Virginia to Ulysses S. Grant at Appomattox Court House, Virginia on this date in 1865, an event which for many Americans symbolizes the end of the American Civil War. It wasn't, but is a good reason to retell the tale of the ex-US and Confederate officers who were recruited into the Egyptian Army, which wanted Western officers with experience but distrusted Britain and France. 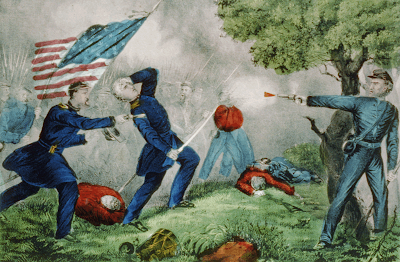 But first, why Appomattox was only the beginning of the end. Though because of its activity in the critical theater between Washington and Richmond, Lee's Army got the most attention, it was the first major army to surrender (since Vicksburg), not the last. 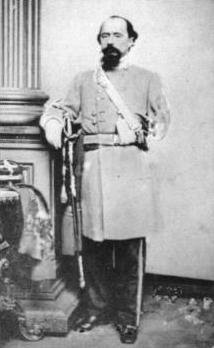 Mosby's Raiders disbanded April 21, a week after the assassination of Abraham Lincoln; Joseph E. Johnston did not surrender the Army of Tennessee until April 26. after the Battle of Bentonville. Other Confederate Forces in the southeastern states surrendered between May 2 and May 12, with Union troops capturing the fleeing Confederate President Jefferson Davis on May 5. The last land battle of the Civil War took place at Palmito Ranch in Texas on May 12-13, and General Kirby Smith surrendered the main armies west of the Mississippi on May 26. The last Confederate land force of any size to surrender was Cherokee Brigadier General Stand Watie's Cherokee and allied Indian force, which surrendered June 23, more than two months after Appomattox. The last shots fired by a Confederate warship were fired by the Confederate naval raider CSS Shenandoah in, of all places, Alaskan waters on June 22. She attacked a fleet of Union whaling vessels. 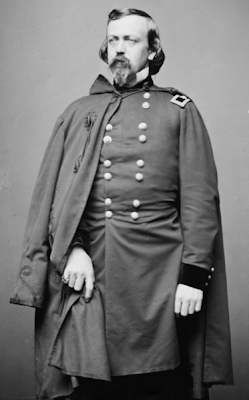 After taking some as prizes, a San Francisco newspaper on one of the captured ships was found on June 27, and the Shenandoah learned of Lee's surrender. That paper dated from before the other surrenders, however, and her captain James Waddell planned to raid San Francisco but on August 2 was hailed by a British ship and learned of the other surrenders and the capture of Davis. Fearing to surrender at San Francisco lest a US court charge him with piracy, Waddell then removed the ship's guns and, appearing as a merchant vessel, sailed her around Cape Horn bound for Britain. The last Confederate naval ship also became the only Confederate warship to circumnavigate the globe. He surrendered her on November 6, 1865, almost seven months after Appomattox, to the Royal Navy. She had fired the last shots in Alaskan waters, and made the last surrender months later — in Liverpool. Still, the image of Lee and Grant at Appomattox is most people's sense of how the war ended and besides, today is as good a day as any to retell the tale I told five years ago. And given the discursus above, it may be worth noting that the CSS Shenandoah ended her life in the service of the Sultan of Zanzibar. She was not the only Civil War veteran to find an afterlife in the east. 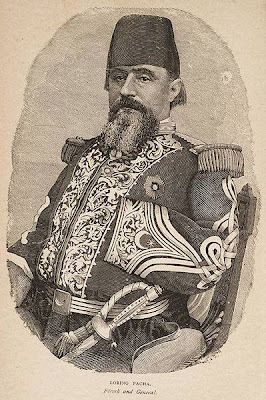 The rest of this post is a rerun of my original post in 2010, "Stone Pasha and the Khedive Isma‘il's Yanks and Rebs," with few changes beyond correcting typos. And having just fought the bloodiest war in its history (which proved a temporary boon to Egypt since Southern US cotton was blockaded from the world market), the US also was a source of experienced and underemployed military officers. To the Egyptians, which army they had served in was moot. It would be nice to say it was moot to the Americans as well, but there was one notorious shootout in Alexandria [2010 link now dead in 2015] between ex-Rebs and ex-Yanks. 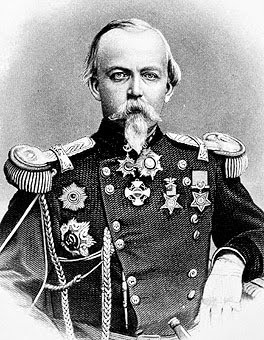 Many prominent ex-Confederate generals reportedly considered Egyptian service, among them P.G.T. Beauregard and Joseph Johnston, but didn't go. William Tecumseh Sherman, General in Chief of the US Army in the late 1860s (under the Presidency of his close friend and predecessor, U.S. Grant), encouraged the Egyptian adventure and even released some serving officers to participate. Now it's important to realize that, though ultimate command was his, General Stone was not present at the Battle of Ball's Bluff. Baker was the senior officer on the scene. If you go to the Battlefield today, you will find it still fairly unspoiled (though a Leesburg subdivision is creeping closer) and what you see is this: a steep bluff over the Potomac which required men to physically haul cannon up the cliff face while making an opposed landing on a hostile shore with a river at their back. My nine-year-old daughter [as of 2010 posting; now 15 and even better at tactics] has commented that that makes no sense. She's quite right. One look at the position should have been enough to warn off anyone over age nine. Let's see: steep bluffs we had to climb and drag our cannons up, check; superior enemy forces to our front, check; river at our back and no retreat possible, check; let's attack. There was a fan site in 2010 for Old Blizzards in fact, [link appears dead in 2015] with the motto "Three Flags, Four Continents" (the flags are the US, the Confederacy, and Egypt, though they (correctly for the era) use the Turkish flag. I think the continents are North America, Europe, Asia and Africa). Prince Muhammad ‘Ali Tawfiq (1875-1995) was a son of Khedive Tawfiq of Egypt, a brother of Khedive ‘Abbas Hilmi II, and was more than once regent or heir presumptive to the Khediviate/Sultanate/Kingship of Egypt, though he never reached the throne. Even as late as 1952 he was heir presumptive to his cousin King Farouq until the birth of Egypt's last King, Ahmad Fuad II. 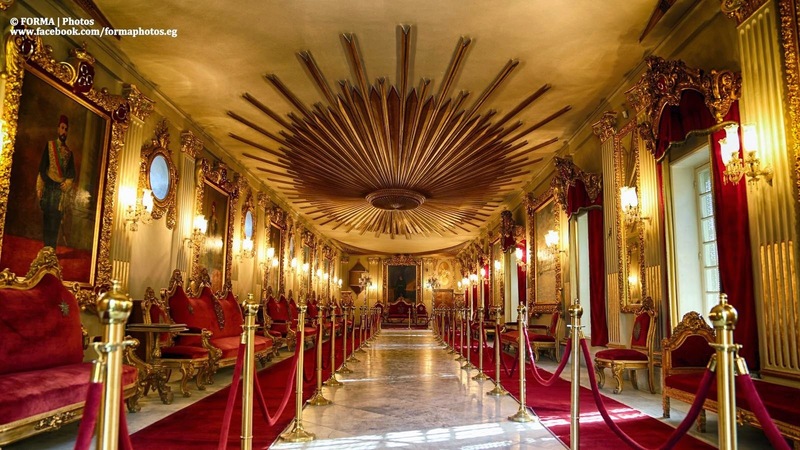 Egyptian Streets reminds us that he also left a gem to Cairo: the Manial Palace on Roda Island, built between 1899 and 1929: "The Palace of Gold in the Heart of Cairo." And of course, if you're visiting Cairo, to the Palace and Museum itself. Headline of the Day: "Turkish University Students Demand Jedi, Buddhist Temples"
This article probably can speak for itself once you know a couple of things: Hürriyet Daily News is an English-language paper and website of the Turkish newspaper Hürriyet, and it is politically secularist, Kemalist and aligned with the secular opposition Republican People's Party (CHP) founded by Atatürk. It is not then, a fan of the religious policies of President Erdoğan's ruling AKP. With that in mind, enjoy the story: "Turkish university students demand Jedi, Buddhist temples amid mosque frenzy." The Deal: A Glimmer of Hope?